Want to learn more about the school district’s Special Education Program? 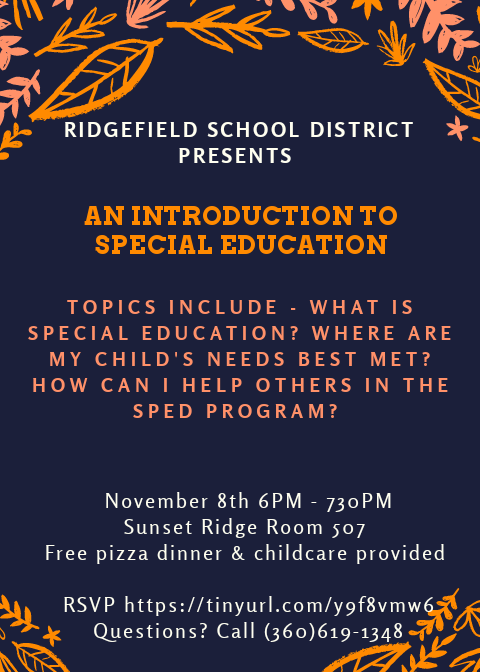 Come attend “An Introduction to Special Education” presentation for parents on Thursday, November 8, 6:00-7:30 pm at Sunset Ridge Intermediate School. Dinner and childcare will be provided, Please RSVP at https://tinyurl.com/y9f8vmw6.